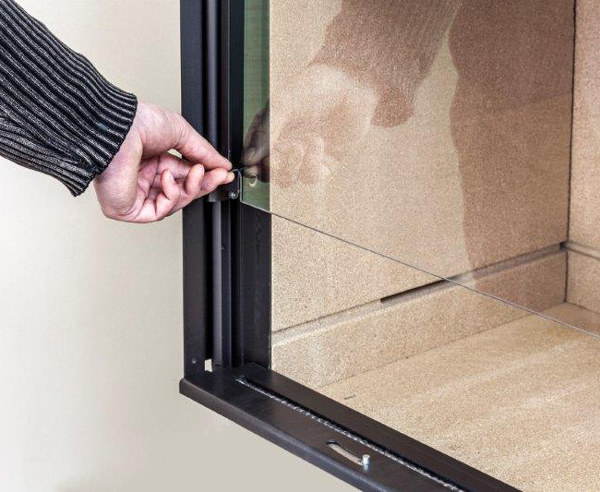 Fondis Stella 3 frameless glass door. The Fondis Stella 3 door slides open. The minimal and elegant design of the frameless glass door gives an unimpeded view of the flames. The door stays in place when released giving you the look and feel of an open fire with the efficiency and control of a Fondis stove. Fondis Stella 3 door open for easy maintenance. 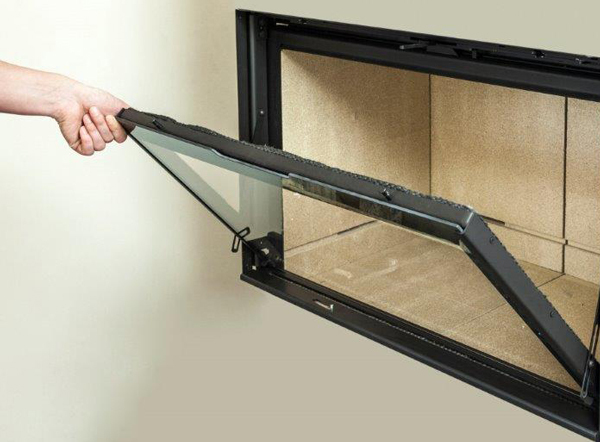 For easy maintenance and access the door can be hinged to a fully open position. Simply disengage the handle found at the top of the door.